Absco is a market leader and the workshops are as impressive as their garden sheds. 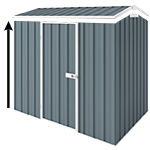 Absco workshops can be used as large storage sheds, gardening sheds, tradie workshops or even man caves! Options are limitless. All Absco Colorbond products come with Surfmist Channels / Trims. 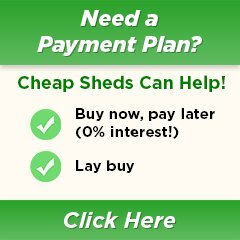 They are designed using the revolutionary SNAPTiTE assembly system. it basically permanently locks all the pieces together - channels, roof and wall sheets, without the need for tools and fasteners. We recommended having 2 or more people to assemble these workshops.